I tell people all the time that one of the greatest things about the LSAT is that it’s remarkably consistent! That is, for the test to be considered a legitimate measuring device where people taking different LSATs can still be compared to one another in a meaningful way, the measuring device itself (the LSAT) absolutely CANNOT change! That, in a way, is the very definition of a “standardized” test. I mean, what good is a ruler if yours has 13 inches to a foot, and mine has only 12? And while that may seem like a pretty obvious statement, think about why it’s of tremendous benefit to you, the test taker. 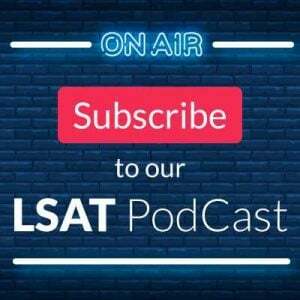 Consistency from test to test means that you can look at old LSATs and–and this is key–make predictions about what you’ll see on your LSAT! You can know what’s coming! So if you’re well-versed in the concepts, question types, and general patterns employed by LSAC, and you’re diligent in forming comprehensive strategies to recognize and respond to those elements, then test day becomes nothing more than reapplying those strategies to ideas and scenarios you’ve seen countless times already. The mystery, and hence much of the difficulty, is gone! So what’s a poor test maker to do?! 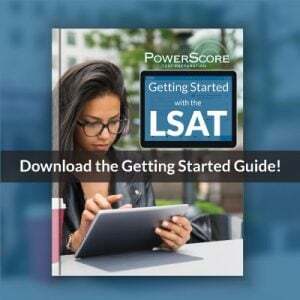 How would you as a test maker–shackled to the limited set of the same concepts and question types you’re forced to test over and over–still make each LSAT unique? The answer of course is you create the illusion of novelty. The illusion of change. You (LSAC, that is) are not allowed to test an entirely new type of Logic Game. That would break the rules of standardization. So what do you do? You take a Basic Linear Game and, instead of laying it out flat and in a straight line, you wrap it around a table! 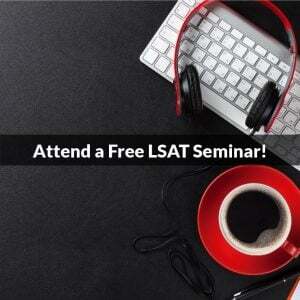 You make a Circular Game, as students who took the February 2014 LSAT saw. Recognize that consistency and it’s a piece of cake; fail to recognize it and…well, good luck. What inspired this particular discussion wasn’t the “uniqueness” of some recent Games sections, however, but rather a question that appeared in the second section of Logical Reasoning on the recently-released September 2014 LSAT. If you’ve got a copy, it’s question number 23 in that section; if you don’t have a copy and want to check it out you can purchase a hardcopy on Amazon. Now I’m going to take a bit of the mystery out of this by telling you up front that this question is a Strengthen-Principle question, a common enough question type where traditionally a specific scenario/argument is outlined in the stimulus and the five answer choice all present different principles (broad, non-specific rules with wide applicability and influence), one of which will apply to the situation in the stimulus and support the actions or conclusion therein. Basically three pieces: (1) specific scenario and (2) conclusion about it in the stimulus, and (3) generalized rule supporting that conclusion/action in the correct answer choice. It’s a classic “bottom up” relationship where the answers are evaluated based on their effects on the argument given above in the stimulus. For instance, a stimulus might say “In an effort to reduce costs in the coming quarter, Company X fired 10% of its workforce. The CEO claims this was justified as the productivity and profit loss will not be as great as the salary savings.” A strengthening principle answer choice could be something like “companies are justified in taking actions they believe will increase profitability.” Note the answer doesn’t mention any specifics–no Company X, no employee layoffs, no reduction of payroll expenses–but would still apply to the specifics in the stimulus because it is broad enough to include them. This type of question isn’t extremely common, but they’re common enough, and consistent enough in construction, that savvy test takers have no problem recognizing and answering them. So what about September’s question 23? The question starts out simply enough, describing a “Problem:” between Shayna and Daniel, where if Shayna congratulates Daniel she’ll be lying, but if she doesn’t congratulate him she’ll hurt his feelings. A real pickle. Continuing with the stimulus, we’re given a “Principle:” which tells us essentially that you should never lie, except maybe when you think the person to whom you’re lying would just rather you be nice than honest. “Tell the truth, unless perhaps you know they’d prefer the lie,” essentially. Clearly you can see how our Problem with Shayna and Daniel, and our Principle about lying vs honesty, are related. The central issue is whether or not Shayna knows what Daniel would prefer to hear, lie or truth. Knowing his preference would allow her to make the proper choice. So what we have in the stimulus is the beginning of a specific scenario but without a conclusion, as well as a principle that applies to it. These are two of the three pieces outlined above when I described Strengthen-Principle questions: pieces (1) and (3), respectively. What we’re missing is the conclusion! This is strange. The “Principle:” piece is where the conclusion usually is. So where is our conclusion? The test makers have swapped the single conclusion from the stimulus with the five principles from the answer choices, so that now the five answers offer five possible conclusions about Shayna and Daniel and what Shayna should or shouldn’t do as determined by the single principle above. The three Strengthen-Principle pieces, then, are all there, but their placement has been altered relative to regular Strengthen-Principle questions. Now we’re told to use the principle to help justify one of the following conclusions, a “top down” question stem in appearance, but still a Strengthen-Principle question in function! Of course, this isn’t really a novel idea or question type, and our strategy for attacking Strengthen-Principle questions still applies: the correct answer here will simply show that the principle helps to justify the specific conclusion. In this case the correct conclusion (answer choice E) tells us that Shayna doesn’t know what Daniel prefers (truth or lie), so she shouldn’t say anything. Paired with the initial specifics about telling a lie or telling the truth, and considered via the principle provided, you can see that this conclusion would indeed make sense and is likely the correct choice for Shayna. So I’ve come long way to make a small point: the LSAT doesn’t actually change, it only appears to! This should affect how you prepare, as you need to be familiar with both the consistencies that you can trust will be present, as well as the ways the test makers attempt to obscure that consistency. The test appears elusive, ever-evolving and endlessly varied, but it’s nothing more than the illusion of change. Image “Seashell variations” courtesy of fdecomite.